Music can be so much more than just a catchy beat and interesting lyrics. Soul music has shown that music can bring together people from all races and backgrounds. As soul music continues to increase in popularity, it is worth looking back at how it all began. Soul music began in the 1950s as a melting-pot of gospel, blues, funk and even jazz. It provided an outlet for black people and minorities in American inner cities. What started as a personal anecdote about life under racism and class struggles, quickly gained in popularity. Early pioneers such as James Brown, Sam Cooke, and Ray Charles helped to bridge the gap between black and white through music. The music had the feelings and power of gospel and blues, yet it provided a catchy and danceable groove that had more in common with funk. Many soul artists also added elements of jazz into their recordings. Soon, Aretha Franklin became famous for her powerful voice and heartfelt lyrics. As a strong black woman, Franklin was the antithesis to America's then segregated society. Her songs, while not lyrically political, helped to bring society closer together through universal themes such as love, devotion, and honesty. Most important of all, her songs were well-written and became very popular on the radio. Motown Records was formed during the height of soul's popularity, and they helped produce such renowned acts as The Jackson Five and Marvin Gaye. The Jackson Five in particular became extremely popular, and lead singer Michael Jackson eventually became the highest grossing pop artist of all time. For a musical genre that started in the ghettos, soul quickly surpassed all expectations by providing world-class music and entertainment. Soul music is remembered as the loving ballads of Marvin Gaye, the chaotic concerts of James Brown, and the soothing lyrics of The Commodores. Its revival has begun with acts like Adele and Joss Stone. Soul music continues to evolve, yet its unique ability to warm hearts while inspiring dance has never changed. And we continue to bring a touch of soul to weddings and events today. 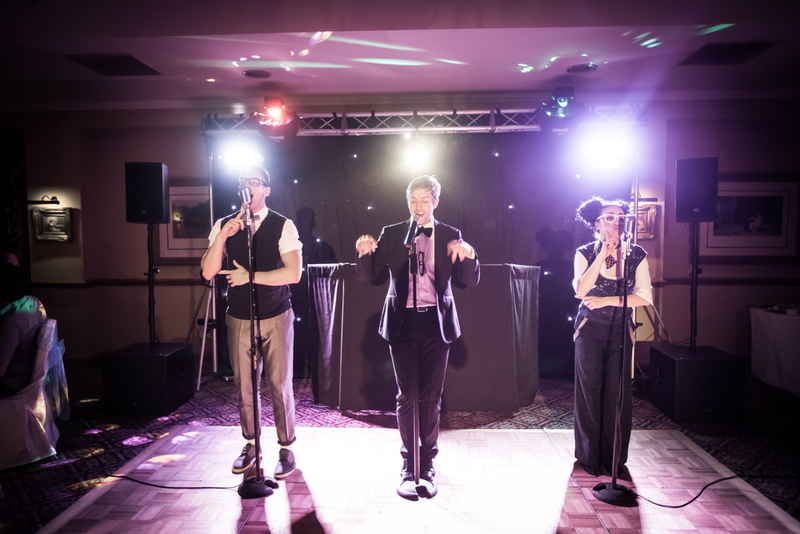 The Souljers wedding entertainment covers many different musical styles including some of the best soul classics, played at venues locally in Leicester, as well as at venues around the UK.